Businesses know for a fact that clients are what keep revenues rolling on the regular. After all, the people who buy our products or hire our services are the reasons why we’re in business in the first place. With that said, multichannel marketing enhances sales by allowing B2B companies to seek out opportunities. 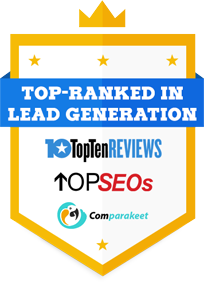 But despite the advantages they get from advanced lead generation approaches, these companies will still have to tackle the pressing issue of whether to prioritize new customers or repeat customers. The divide has always existed ever since companies began nurturing leads as an essential factor in revenue growth. Without a doubt, most businesses in the B2B industry prefer to anchor their lead generation strategies on acquiring new prospects, and we can’t call them out for it. Especially if they happen to be Melbourne-based tech startups that are taking the initial steps to grow their brands, focusing more on new business relationships is totally fine. Building a client base from scratch is a difficult thing to pull off anyway. But if you are already established a firm foothold in your market, you will have to maintain your momentum by generating new clients and making sure to keep existing clients wanting more from you. The aim now is for B2B businesses to find a middle ground between new and repeat customers. Shauli Rozen, Chief Strategy Officer of Optimove, points out the importance of optimizing the customer revenue mix. Although much of his points apply directly to the activities of e-commerce, Rozen drives home the point that businesses will have to address the needs of their “old customer base” and strike a perfect balance between new and repeat customers. Forbes contributor Larry Myler, on the other hand, says that for companies to improve their revenue numbers, they will have to keep existing customers within the sales cycle. This would mean applying the right approaches to attain a perfect balance in the customer revenue mix. Australian companies should start reviewing their current marketing objectives and determine if they are focusing too much on getting new clients. By focusing on these approaches, companies can greatly enhance their marketing efforts to generate opportunities and keep their client bases intact. For B2B relationships to thrive, it is imperative to put an effective lead management system in place. Automated marketing software allows greater scalability in terms of engaging your current clients and ensuring that they are regularly updated on new offers or promos. In this case, a lead nurturing can streamline your engagement efforts with current brand patrons. It takes a great load off of your team, providing you with ample time to reach out to potential clients elsewhere. Incentive schemes provide a motivating factor for pushing your marketing efforts forward. And for this very reason, it is essential to increase the commissions you pay out, not only for each new client generated but also for purchases from repeat customers. Writing for the American Express Open Forum, Mark Henricks sees the potential of paying high incentives to sales teams as a means to even out the customer revenue mix. Because they are driven to win new clients and win back old ones, sales team can help can help a company realize higher profit margins. If you belong to an industry that constantly engages new innovations, it is essential to build your message around a prevailing issue or development. We can never really deny the value of content curation as it helps you focus on the most important topics of the day. What’s more, it also helps you with audience retention by enabling messages that existing customers see as relevant. From there, you can prolong the engagement lifecycle all the while stimulating the interest of possible clients. Turning customers into brand advocates is basically another way of hitting two birds with one stone. To do this, simply create a brand advocacy program that outlines the value it secures for your organization as well as for your current client base. You can then provide incentives or social mentions for every piece of content they share or re-tweet. Not only will you be able to keep a loyal fan club with you, you also leverage their networks to reach out to potential fans!